CNN reports American TV watching is at an all time high. We watch, on average, 151 hours of TV per month. That’s over 5 hours per day. So what’s that got to do with the environment? Well, a lot, actually. Just give me a minute. First, I read a really fascinating article over at Treehugger today. What about? Well, it was a good news/bad news kind of article. The good news? World populations are declining pretty rapidly as more people, even in developing countries, have fewer children. For the environment, this is good news. The bad news? Our increasing thirst for consumption is a much bigger problem than we’re realizing. This are some sobering statistics to be sure. So What Does Cable TV Have To Do With It? Think about what happens when we watch cable TV. You can see where this is going. We see a lot of ads that make us want to buy a lot of things. Even if we don’t realize it at the time, that seed is planted. That yearning, the wanting, is there. But, ads aren’t the whole problem. Even the shows we watch fuel this yearning for consumption. Think about shows like The Bachelorette or Desperate Housewives. These people are wearing beautiful clothes, driving fantastic cars and living in beautiful houses. We don’t live lives anything like the shows we watch on TV. This means we end up, even subconsciously, comparing our lives to what we watch. And it seems as if most people find their own life lacking when they stop and compare it to this fantastical dream existence. Or, think about all those home improvement shows on HGTV. We see people redoing their homes and yards to make them more beautiful and amazing. They buy paint and drywall and new couches and new refrigerators to make it a design masterpiece. And what happens? Well, we’d sorta like to redo our kitchen or bedroom too, right? It’s an endless cycle. We see the new top of the line running shoes, and suddenly our current running shoes “aren’t good enough”. We see the new Dyson circular fan, and suddenly our little tabletop fan is too “unsophisticated”. 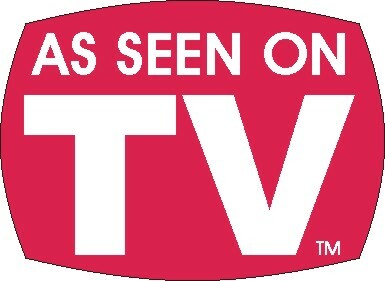 Everything we currently own and use just fine pales in comparison to the new, the beautiful, the fabulous we see on TV. And, this just adds fuel to the fire for our consumption for more. It’s not just TV’s propensity to compel us to consume more that has me worried. It’s also TV’s effect on us. According to the Center for Screen Time Awareness, a new study published in the Archives of Pediatrics and Adolescent Medicine shows that simply having the TV on in the background can stifle interaction between parent and child, decreasing the number of words spoken and possibly slowing the development of a baby’s language skills. In a detailed look at nearly 30 years of research on how television, music, movies and other media affect the lives of children and adolescents, a new study released Monday (December 1, 2008) found an array of negative health effects linked to greater use. The report found strong connections between media exposure and problems of obesity and tobacco use. Nearly as strong was the link to early sexual behavior. In addition to the revelation that consumers in the 45-54 age group average the most daily screen time (just over 9 1/2 hours), the VCM study found the average for all other age groups to be “strikingly similar” at roughly 8 1/2 hours – although the composition and duration of devices used by the respective groups throughout the day varied. I canceled my cable years ago. And, the only time I miss it is during football season. But it’s not worth it to me to sign back up, not even close. Because I don’t see those endless ads. I rarely, if ever, get the urge to go “buy something” at a store or mall. That yearning just isn’t there anymore, and I truly believe it’s because I’m not watching all those ads, and all those beautiful people, telling me that my life is lacking because I don’t have “this or that”. It’s funny, but when I’m in a restaurant or at someone’s house where the cable TV is on, it’s SO NOISY now. The ads just grate on my nerves, and if I have to listen to it too long I get really irritable. It’s easy to see why the TV is called a “squawk box”. To me, that’s exactly what it sounds like. So, does this mean I never watch TV? Well, I sure don’t watch network or cable TV. My TV is used almost 100% for watching movies, apart from the occasional “Antiques Roadshow” on public television. I get to choose what I watch, and I don’t have to put up with any annoying commercials telling me what I’ve got to have to feel/look/act more successful in life. I know that the thought of cancelling cable can be a bit scary. And there’s no doubt that it would free up a ton of time for you and your family. But think about this. Not only would you save the $30-$100 per month on your cable. Think about how much you’d save by not shopping so much. I’m telling you, over time you will buy less by not watching so much cable television. I’m living proof that this will happen. You can’t want what you can’t see. You can’t yearn after something you don’t know you’re lacking (and the majority of the time, you’re not really lacking it anyway). Anyway, I’d love to hear what you guys think about this. Do you have cable? If so, would you consider cancelling it? If not, do you feel like you buy less since you stopped paying for cable? I never signed up for cable. The only time I miss it is when the antenna reception gets fuzzy and to be honest I’d rather put up with that then pay the extra $50 for the “basic” package. I rarely watch TV anyway, I either watch my shows online or watch movies. i haven’t had “the box” in my house since 2004. I rarely miss it. We canceled cable last year, and really don’t miss it! Netflix is definitely our friend. With so much content available on the internet these days, there really is no point in paying for cable. As far as sports go, I prefer to watch them in a sports bar any way, plus it gives me an excuse to get out of the house and visit with friends. Definitely food for thought, although I think my husband and son would go through serious ESPN withdrawl. My 18-year old daughter rarely watches actual TV, although she has a few choice shows she watches on her laptop. I tend to turn it on around 9 PM, but there are times I know I should go to bed, but inertia and tiredness keeps me mindlessly watching — not good. In 10 years, will we all be watching individual screens, isolating us even more? At least, my hubby & son watch sports together — commenting and commisserating. @C- I’ll check it out, thanks so much for the suggestion! I bit the bullet and got an antenna for my HDTV. To my surprise, it picked up about 4 times as many channels as I thought it would (you will need to research antennas for your area to get the best kind). This and Netflix with a Roku box set me back $200 in one time costs and $8 a month for Netflix. This is opposed to the $720 or more I have been spending yearly on satellite tv. When I first moved out on my own, I didn’t get cable and haven’t since. I only had my DVD/VHS player for the sizable collection of movies I own and internet for free streaming if I ever wanted to watch a TV show (which was rare…especially since I was spending so much time reading your blog ;). I’m sure I saved sooo much money, which was important because I was a full time student on a tight budget. I noticed I haven’t spent as much money on eating out or new gadgets, etc. since I’ve lived without TV. Whenever I would visit my parents and the TV was on in the background, I was amazed at the length and frequency of the commercials, having gotten used to watching a show online without interruption. The commercials were usually longer than the actually episode! Since then I’ve gotten married and we now have Netflix, which we mostly stream. Again, I’m so spoiled by NOT having to endure loud, in-your-face commercials telling me that I “need” this or that to fit into our consumeristic society. With the invention and popularity of Netflix, hopefully people will start to say “No” to greedy corporate advertisements by canceling their cable! Great post! Hopefully more people catch on!